During WWDC 2011 keynote Apple unveiled their next Macintosh operating system. Mac OS X Lion includes over 250 new features. Full Arabic localized interface was finally added to Lion as we mentioned before. 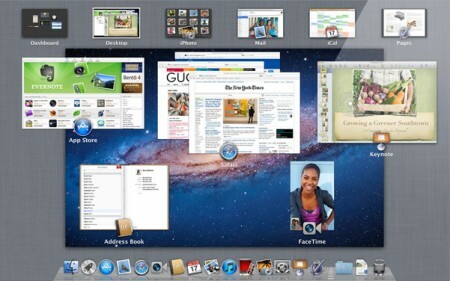 Mac OS X Lion will be available exclusively on the Mac App Store for $29.99 in July. Mac OS X 10.5 Leopard owners should consider upgrading to 10.6 Snow Leopard first (on Amazon for $29, aff link). Lion will support multi-touch gestures to make accessing more functionalities easy. Many gestures are available including swipe up with 3 fingers to open Mission Control to manage your running apps. Full-screen mode in apps will make it easier to concentrte on one application. Mission Control is a new way to manage running applications, it combines the functionality of Expose, Spaces, Dashboard and full-screen apps. 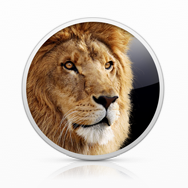 Lion includes many features listed on the OS’s website. It will be available July for $29.99 from the Mac App Store. Server edition will cost $49.99 from the Mac App Store as well. SAN FRANCISCO—June 6, 2011—Apple® today announced that Mac OS® X Lion, the eighth major release of the world’s most advanced operating system with more than 250 new features and 3,000 new developer APIs, will be available to customers in July as a download from the Mac® App Store™ for $29.99. Some of the amazing features in Lion include: new Multi-Touch® gestures; system-wide support for full screen apps; Mission Control, an innovative view of everything running on your Mac; the Mac App Store, the best place to find and explore great software, built right into the OS; Launchpad, a new home for all your apps; and a completely redesigned Mail app.